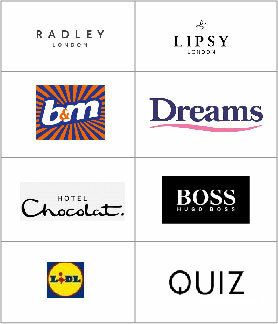 The most talked about retailers, according to the Retail Burn, include: H&M, HMV, The Entertainer, and Fat Face all reporting positive news stories, and Patisserie Valerie, Claire’s, Wilko, House of Fraser, Debenhams and Gourmet Burger Kitchen where the news hasn't been so great. The Retailer Database shows plenty of good news about H&M. H&M has appointed a new UK boss, expanded both in the UK and internationally, and is upping its environmental credentials in time for Christmas. At the other end of the scale is Gourmet Burger Kitchen. Gourmet Burger Kitchen has confirmed plans for a CVA and earmarked sites for closure. 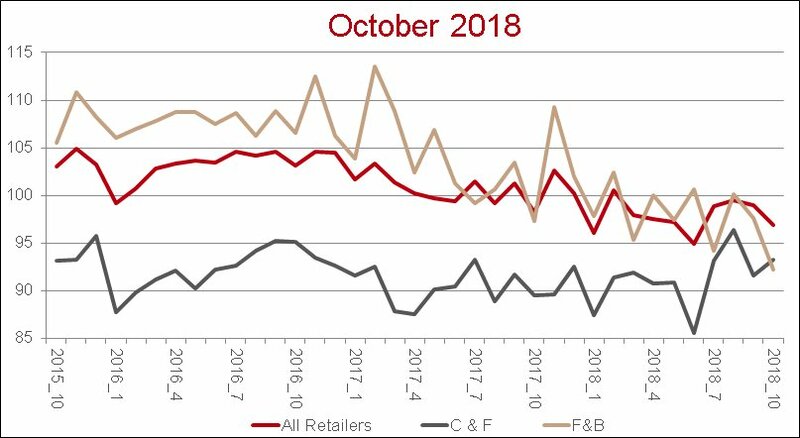 The October RNI index for All Retailers, at 97, has decreased by 2.
Leisure, at 93, has decreased by 6. Clothing & Footwear, at 93, has increased by 1. Household, at 95, has decreased by 14. Personal, at 87, has decreased by 13. Grocery, at 103, has increased by 1. Food & Beverage, at 92, has decreased by 6. There were 6 administrations recorded in October: sporting goods retailer American Golf, womenswear retailer Coast, butcher Crawshaws, bicycle chain Evans Cycles, bakery chain Peyton & Byrne, and, athletic clothing brand Zakti. Apart from Zakti, which has closed due to owner Mountain Warehouse reshuffling its estate, the others have been rescued via pre-pack deals. There were no new additions to the Pragma Retailer Database in October.